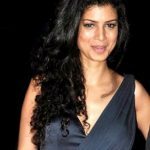 Tina Desai was born on February 24, 1987 in Bangalore, Karnataka, India. She finished a degree in Business Management with a major in Finance. Her career started when she joined the show Get Gorgeous. She didn’t win but this introduced her to modeling opportunities, which ultimately led her to be an actress. In 2011, she made her film debut in Yeh Faasley, followed by the movie Sahi Dhandhe Galat Bande. In 2012, she had a role in the British movie The Best Exotic Marigold Hotel playing the role of Sunaina. She reprised the said role in the sequel The Second Best Exotic Marigold Hotel. She gained wider recognition in 2015 when she started playing the role of Kala in the Netflix series Sense8. 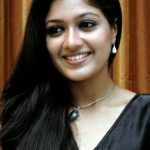 In addition, she starred in the Bollywood films Table No.21 and Dussehra.